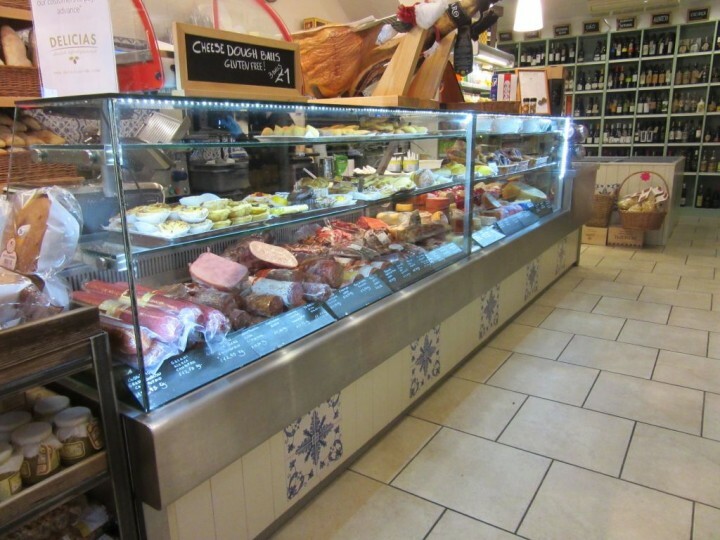 Delicias has been offering an outstanding selection of the finest produce from Portugal and Brazil for over 15 years. They developed their reputation through supplying delicious products, from their extensive range of Wines to the delightful artisan Cheeses and Charcuterie produced using traditional methods, their Hand-Pressed Extra Virgin Olives Oils and an extensive selection of tantalising treats, always delivered with a touch of elegance. Daylesford Organic specialise in fresh, seasonal produce delivered daily from their farms’ market garden, artisan cheese and breads from their farm’s creamery and bakery, organic meat from their animals – serviced by a real butcher; everything you need for your fresh weekly organic shop. Their organic cafe is open all day, a place to eat, drink and relax with friends and family. The Garden Centre Group have opened up their first Farm Shop at Woodlands Garden Centre, Hinckley. 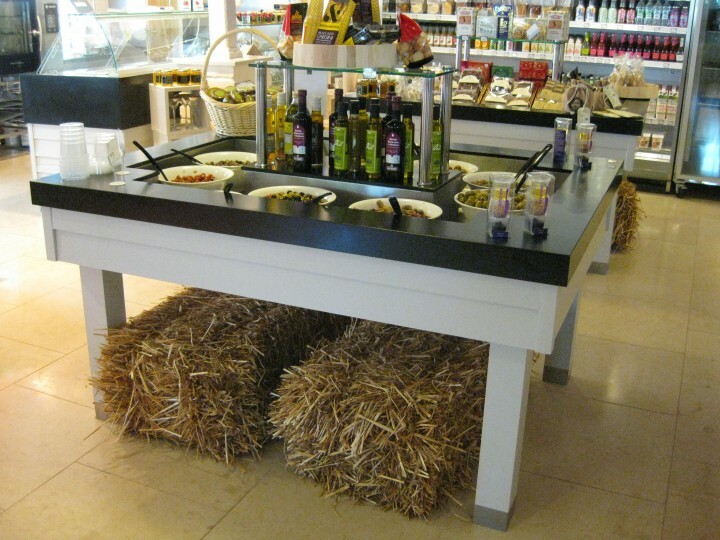 Smiths Retail Design were brought in from the very beginning to design and install all units in the Farm Shop. 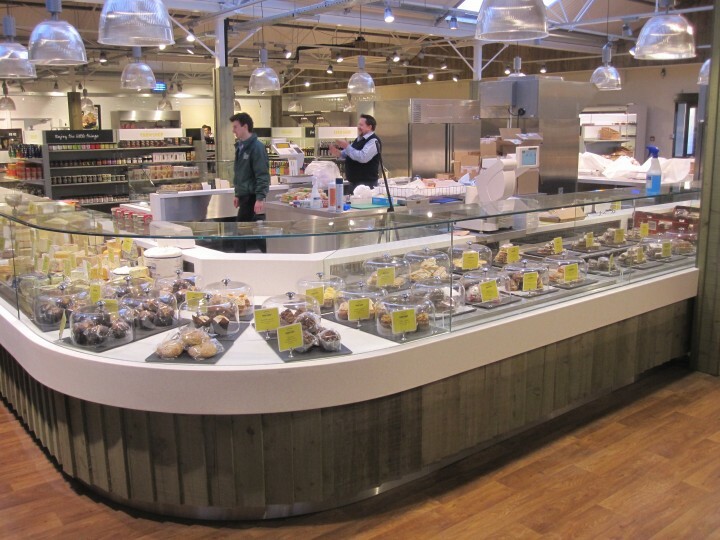 From initial concept to opening Smiths Retail Design achieved this project in just 7 weeks! Since opening in 2008, their Evesham Farm Shop has worked hard to develop all the same exceptional qualities as their flagship store at Frilford. Their priority is to grow or make their own products; or to source from local and British producers wherever possible. 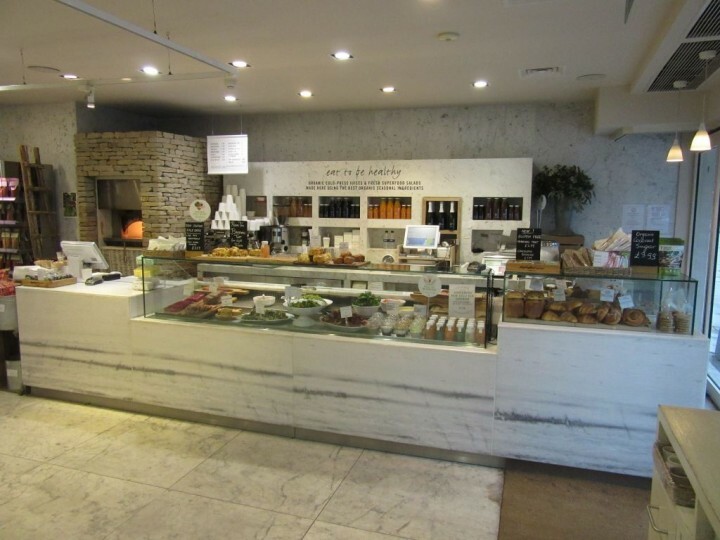 The fresh fruit and vegetable department at the very heart of the shop is complemented perfectly by the sumptuoulsy stocked bakery, extensive delicatessen and pre-pack meats selection. The Cook and Fillet are something quite different to anything else around them. 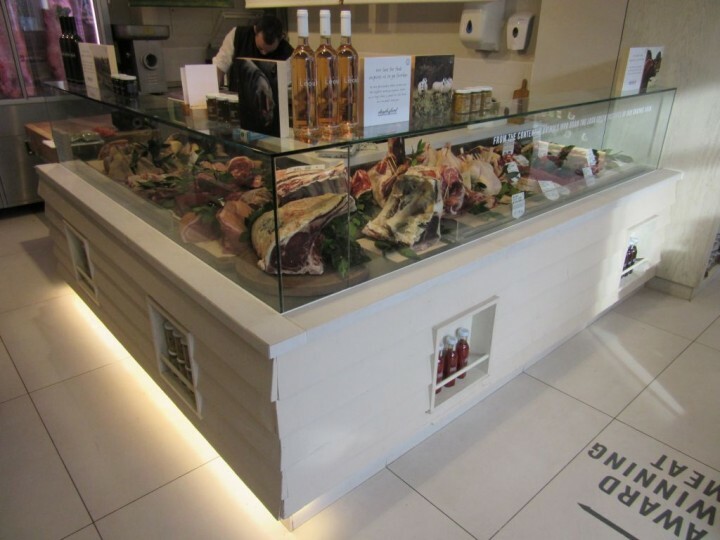 Not only do they sell local high quality meat, fruit and veg, wine and groceries – and lots more – they also have a fabulous restaurant with an exciting range of fine foods and drinks……..
All produce is sourced locally or from Smithfield Market London. 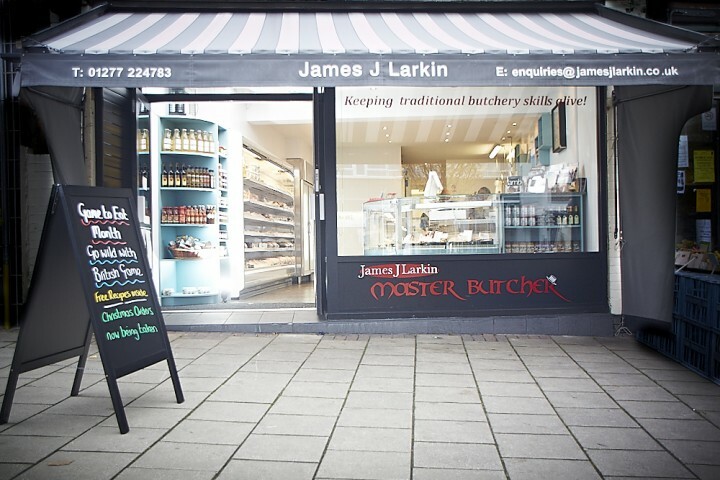 James J Larkin’s make their own specialty sausages and dry cure their bacon on the premises. They also make a variety of ready to cook options – Jim’s Beef Wellington’s are the talk of Shenfield! 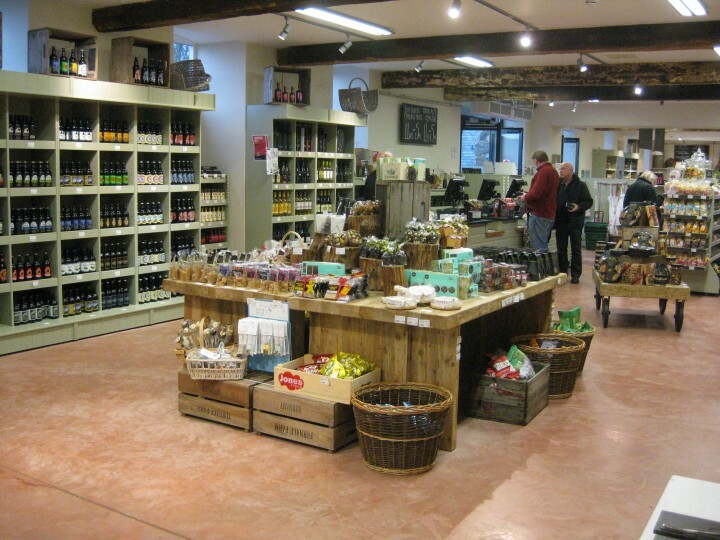 The Furnace Farm Shop (Bodnant Welsh Food) showcases the best artisan food that Wales has to offer. Nearly three quarters of what they sell in the shop is Welsh, with half from North Wales alone – including, of course, food produced on the Bodnant Estate, such as beef, cheese and honey. 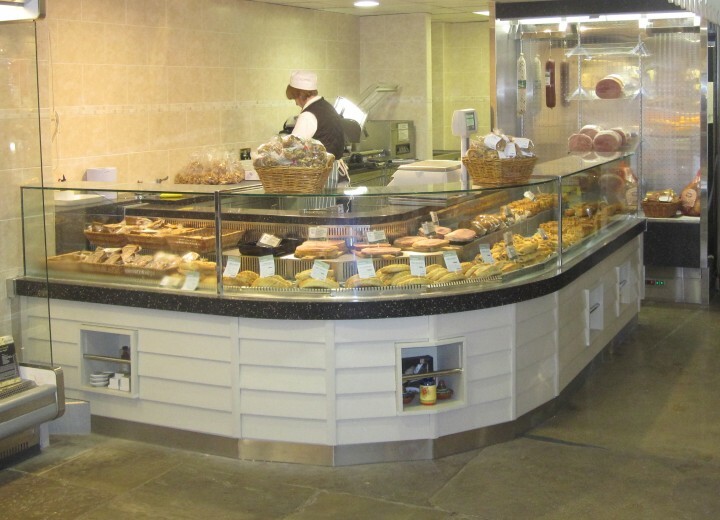 The shop includes a butchery section, dairy section and a bakery section. Along with this it stocks an excellent range of local beers and wines.